If you’re house hunting or thinking of refinancing, and you don’t have a mortgage rate hold, consider getting one. A few lenders have already announced higher rates earlier today—with increases of 5-10 basis points on longer fixed terms. Either way, inflation ultimately drives yields and mortgage rates. Notwithstanding the bond-unfriendly U.S. news, Canada has core inflation of just 1.1% (2.0% is the BoC’s target), tepid GDP growth and questionable employment gains. There is little domestic news (yet) which suggests that Canadian yields will keep soaring. But at some point, that may no longer be true. Sidebar: For the little that it’s worth, major economists have again moved back their forecasts for the next Bank of Canada rate change. Now they’re calling for a hike in late 2014 (Source: Reuters). But that says nothing about fixed rates today. And it’s always worth repeating: Fixed rates routinely increase well before the Bank of Canada tightens monetary policy. Noteworthy stories and new product news from the Canadian Mortgage Trends HQ. Sponsored posts will be highlighted as sponsored content. Knew I should have bought that condo in Florida while the getting was good. Except it is still Florida. You really wouldn’t want to live there would you? There are too many “nice” places one could choose to live in. Forex is a factor too. Cdn$ is down 3% this month. A foreign holder of a Canadian bond has lost 3% of capital value (wiping out the coupon). Canadian bonds are less attractive with eroding foreign exchange. Another possible reason for bond prices declining and yeilds rising might be that many investors and money managers have/are selling bonds and buying equities hence the recent rise of the S&P500. who are the lenders that increased rates? Yes but isn’t the loonie’s weakness tied to our dimming economic prospects? If those prospects lower inflation expectations, why would investors sell C-bonds? You can’t predict currencies anyway. The dollar could be at par again next month. Yes, loonie is tied to commodity pricing which currently, except for oil, is mediocre. An American investor would have been better off with a US bond than a Cdn bond this month. A person could hedge. But why bother, just stick with the US bond. What does a 3 month chart tell you about long term trends…absolutely nothing. Put up a monthly chart and there is little to worry about. Dr. Copper is not worried either. Mortgage brokers love this pitch. Hi Tom, We can’t predict the unpredictable, which is what long term rate trends are. This chart is meant specifically to illustrate how yields have moved this month, which is the reason certain lenders have lifted rates. You’d see the same chart used if yields had dropped 33 basis points. Hi, does it mean the variable rates are likely to go up as well? I’ve always been a big fan of them, as historically, they have always lower than the fixed rates. Variable rates should not be moving anywhere in the next while. They are tied to the Bank of Canada rate which was kept at 1% yesterday. OECD has predicted that the B of C rate will not move upwards until at least the beginning of 2014. It is only fixed rates that move with a change in bond yield. Persuading people to think they need to tie in to longer term mortgages based on a monthly Yield Spike as you call it, is wrong. The long term trend of historical lows is still intact. So far this is simply a retracement in a trend of lower highs and lower lows. I have been watching mortgage brokers getting it wrong for their clients for some time now and wonder why regulators are allowing them to get away with it. That is absurd. Chart length has no bearing on where rates are going in the long run. Wanna know a secret…Google the term fractals. Any successful trader knows you always look to the higher time frame for major support and resistance. Never buy or judge a trend based on a daily chart until you look at the higher weekly or monthly time frame. Stop reading the news and start making winning decisions. Unfortunately that would be misinterpreting the story Tom. There is no recommendation to lock into a longer term mortgage. The suggestion is to consider a rate hold if one is already in the market for a mortgage. Rate holds are protective measures that apply to all terms (not just longer terms) and they do not commit someone to a mortgage. Regarding whether yields will keep making lows as you suggest, anything is possible. As noted, however, no one can predict this. As for your points about brokers, one could easily apply them to bankers, economists, government officials and others who make rate comments. It’s interesting you choose to generalize and criticize brokers specifically. In any event, true mortgage professionals never build a mortgage plan around long-term rate predictions. So you bash brokers for predicting rates and then you make your own prediction? Who the h-e-l-l are you that your crystal ball is any better? The Nostradamus of rates? Nice hypocrisy pal. I’m your daisy Ringo…Technical analysis can be your crystal ball too. This does not sound like a suggestion to me? PS. when Canada Government making bankis think twice about offering 5yr rates lower than 2.89%, its a safe bet that we grab anything below that we are at the bottom. Quetion is, what have you got to lose? Upside is infinity and low side is almost nothing. A) the longer something goes up, the higher the chance of a reversal sooner. And vice-versa. 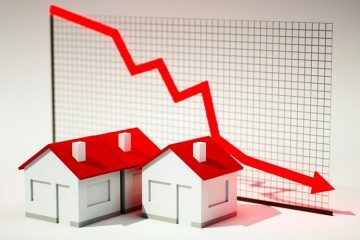 B) were dealing with something bigger than just technical here, its political, and we can all at least agree that in the last 18 months or so the politics in real-estate and mortgages have been “restraining” to the current long term trend. The big picture: Its rosey-cosey where we are at and even is rates don’t go lower, everyone is happy to pay/charge todays rates, so why would they go any lower? I saw half dozen rate increases in my inbox today. Locking in ASAP is the right move if you plan to take a fixed rate anyhow.